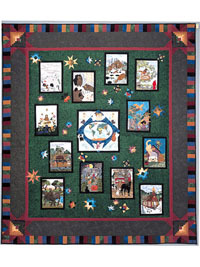 An original calendar quilt design by Piecemakers. The theme for 2004 is animals and their dwellings. 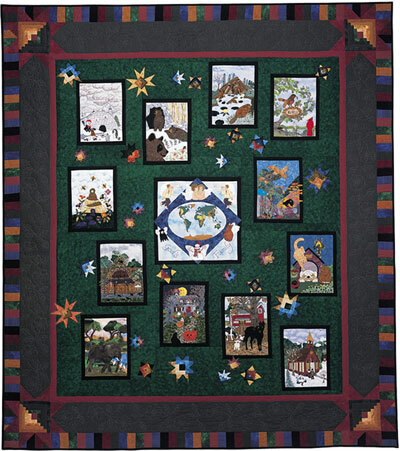 The title of the quilt is "God So Loved the World". Finished size: 96" x 110"